’56 Inch’ Modi Sarkar received a ’56 Page Shock’ on RafaleScam ! Modi Government has made lies, falsehood, deceit, treachery and fakery the foundation of its defence in the Rafale Scam. Their ‘Defenseless’ Defence Minister, Smt. Nirmala Sitharaman&‘Lawless’ Law Minister, Shri Ravi Shankar Prasad’s fallacious arguments and bogus spins could not save the day for them after the Supreme Court order to hear the Rafale Case, afresh based on new evidences and documents. The media managers of the Modi Government sounded like ‘cacophonous cry-managers’, desperately trying to spin something out in order to climb out of the well of deception that they had plunged themselves into. Sadly, their arguments were drowned by the loud noises of the people of India who are echoing the same sentiment across board i.e – एकहीचौकीदारचोरहै ! On March 7 2019, Modi Govt’s Attorney-General told the Supreme Court those “secret” documents published by a newspaper and some magazines on the purchase of 36 Rafale jets were “stolen” from the Ministry of Defence. On the very next day, in a bizarre claim the Modi Govt claimed that these ‘published’ documents were only “photocopies”. After yesterday’s Supreme Court judgement- both these assertions are conclusively punctured. 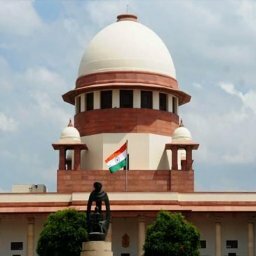 There are 3 Sets of Documents, which the Modi Government wanted to hide from the Supreme Court. This raised several important questions. Q1 – Why was PM Modi holding parallel negotiations undermining India’s interests? Q2 – Why did Modiji bypass the Indian Negotiation Team to waive off the condition of Sovereign Guarantee or a Bank Guarantee? Q3 – Did it not compromise India’s interests as over Rs 30000 Cr that would be paid in advance without delivery of a single aircraft? 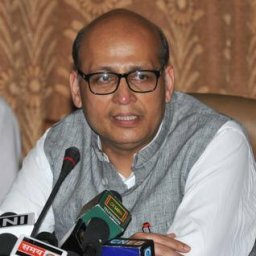 Q4 – What was the ‘quid pro quo’ for PM Modi to compromise India’s interests by waiving off the Sovereign Guarantee/ Bank Guarantee? Statement of French President Francois Hollande dated 21 September 2018 is was verified by this; that Modiji’s ‘New Formula’ of directly negotiating Rafale Deal was to ensure an award of aRs 30,000 Cr contract to his crony friend ‘Double A’, by snatching it from HAL. It is clear that PM Modi lied to Supreme Court also and misled it. In the affidavit before Supreme Court, particularly para 24, 25, 27 ;Modiji said that negotiations on Rafale Deal were held by the Indian Negotiations Team (INT). Defence Ministry file notings now show otherwise. Parallel negotiations were actually held by PM Modi himself. This fact was deliberately withheld from the Supreme Court. NSA was negotiating the Rafale Deal, and not the ‘Negotiations Committee’ of IAF & the Defence Ministry. Did PM Modi ask him to do so and for what reason? On 12/13.1.2016, NSA, Shri AjitDoval negotiated the Rafale Deal in Paris. On 7.03.2016, the then Defence Minister recorded about a meeting held by NSA with the French side in Paris to negotiate the Rafale deal. In August, 2016, The ‘Negotiations Committee’ headed by Deputy Chief of Air Staff submitted its report. Simple question is, why was NSA, Shri AjitDoval negotiating the Rafale Deal in Paris and under whose authority? THIRD DOCUMENT: The Dissent Note of the Indian Negotiating Team (INT) of June 1, 2016, which records objections of three members of the Indian Negotiating Team on various aspects of the deal. This note, which detailed ten objections, was appended to the final report of the Indian Negotiating Team. Q1 – Did PM Modi increase the Benchmark Price by more than 55%? Q2 – Did PM Modi ignore total 25% discounted price offered by Eurofighter, paid more? Q3 – Did PM Modi waive crucial Bank Guarantee, even though cost was negligible? Q4- Did PM Modi abandon ‘Sovereign Guarantee’/‘Bank Guarantee’ in exchange of only ‘Letter of Comfort’? Q5 – Did India pay exorbitantly high price for Cost of ‘India Specific Enhancements’/’Design & Development’as compared to Congress deal? Q6- Did PM Modi agrees to a longer delivery schedule than the UPA deal, which was flagged by the INT? From day one, Modi Govt’slied in the Supreme Court. In the light of the above documentary evidence, it is crystal clear that set procedures have not been followed in the Rafale Deal and ‘Crony Capitalism’ has become the backbone of this scam. Therefore, A JPC Investigation is the only possible solution to ascertain the real culprits. After 23 May 2019, when Congress will come to power, we shall order a JPC probe into the Rafale Scam. 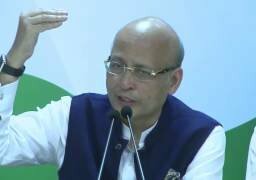 Dr. Abhishek Manu Singhvi, MP and Spokesperson, AICC addressed the media.